Tasting bar. Mixed drinks. Tours. Bottle sales. Event center. 2 brothers living in 2 different parts of the country created this 2 Shot Bourvin. Zinfandel wine barrels shipped all the way from Tobin James Cellars in Paso Robles, California were used to make this 2 Shot Bourvin, right here in Cincinnati, OH. 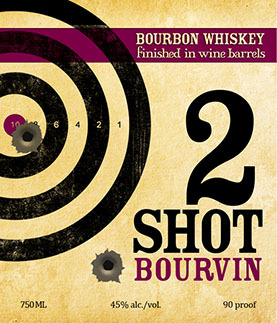 2 Shot harnesses the finest spiritual ingredients this side of the Kentucky Bourbon Trail and is expertly distilled in not one, but two oak barrels. Drink it, sip it, or enjoy a shot or two with friends. Aged for most of its life in charred white oak wooden barrels in a little red barn on the banks of the East Fork of the Little Miami River, this 6 year old Rye is a true delight. Perfectly weathered under harsh condisitions until just the right around of spice and fruity flavors are imparted. Enjoy and Seek the Joy! Legend has it that when the skies darken and the seas swell, a spirit arises from the depths, intoxicating our minds and ravaging our souls. It's name is KEELHAUL. 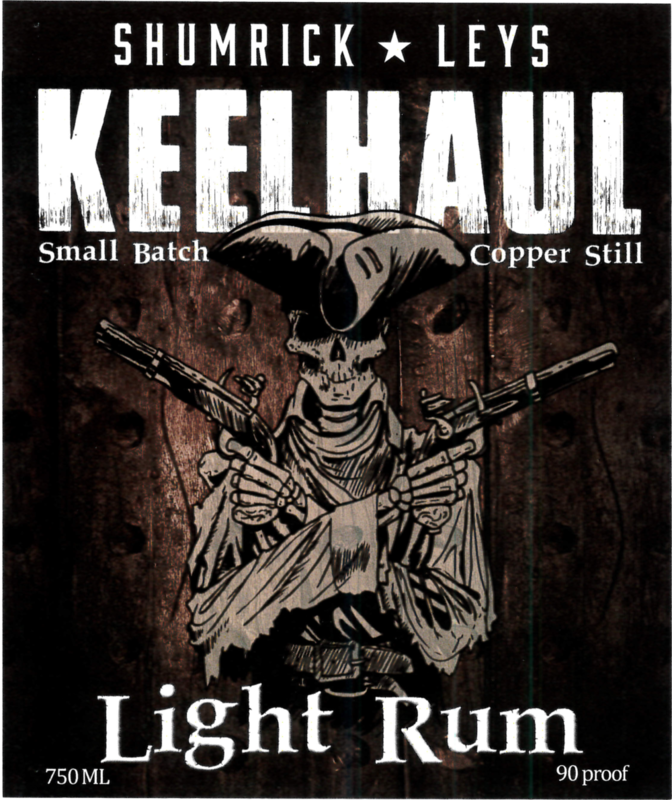 Bred in small batches and held captive in a copper still. Come towards the dark side, my friend. Adventure awaits. Private reserve vodka may just be the world's best kept secret. Every batch is distilled, not once, but 6 times for optimal quality. Serve it on the rocks, in a martini, or with your favorite mixer. Cheers. Called “Starka” by the Russians who have been making it since the 1400s, barreled vodka is the bourbon drinker’s vodka but with smoother tones. Seek the joy! All-natural horseradish in our Classified Vodka. Enjoy a Bloody Mary from time-to-time? Our Horseradish Vodka has the perfect level of spice to kick-up your morning drink. All-natural blackberries infused in our Classified Vodka. Our Blackberry Vodka will add just a touch of sweetness to compliment your drink of choice. Call us today about booking your event! The entrance to the distillery and parking lot are located behind the building. If the main lot is full, additional parking can be found in the lot in the front of the distillery, to the east. We offer a great space for parties, during & outside of normal operating hours. Give us a call today to talk about how we can best accomadate your upcoming party needs. Delicious pretzel bites filled with rich beer cheese. Served with whole grain mustard. Sausage with smoked Gouda in a crunchy bite-sized ball. Served with ranch dipping sauce. Shrimp coated in a sweet coconut batter. Served with a sweet chili sauce. Served on a toasted bun with our house slaw. Piled high on an onion bun with carmelized onions. Three tortillas filled with pork & jalapeno slaw. Topped with our chipotle cream sauce. Creamy three-cheese goodness with bacon. Best baked beans you have ever had. Southern-style green beans, flavored with lots of bacon. Salty pretzels & creamy caramel, topped with chocolate, baked on our all-butter shortbread cookie crust. Sauces available for dine-in & jars for sale to enjoy at home!